TheBlueGuerilla: Neil Hamilton in Rigged UKIP Youth Election Cash For Chairman Scandal. Neil Hamilton in Rigged UKIP Youth Election Cash For Chairman Scandal. YOUNG INDEPENDENCE (YI) have been thrown into turmoil after revelations that their National Elections taking place this week are 'rigged' and the chosen winner has sensationally been offered cash payments for his 'services', TBG can reveal. An ex-UKIP member who quietly left the party recently told TBG - "Mostly because those in command are pig-ignorant and refuse to leave YI alone. The NEC are desperate to have control over YI affairs and frankly, they are about to get it. The NEC are backing one candidate and one candidate only for this election, Jack Duffin." 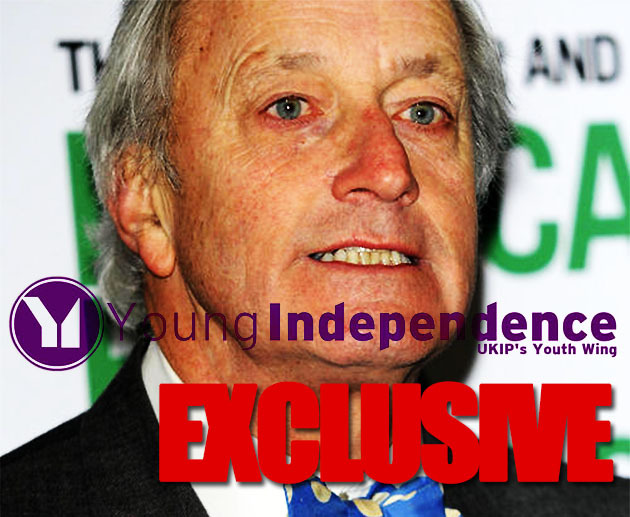 The source claims former disgraced Tory MP, UKIP NEC member & YI President Neil Hamilton offered Jack Duffin the position of YI Chairman with a 12k salary, this offer did apparently not apply to Duffin's election opponent. TBG asked Duffin for comment on the claims two days ago, and has heard nothing back, after he had a short email exchange with TBG recently. A former UKIP member revealed - "I was called up by a senior party member and told 'Nigel wants you for YI Chairman'. I was told that if I stood, anyone who stood against me would be told not to and it would be 'fixed' so that I would win. 'There are ways of fixing these things' I was told. Needless to say - I refused point blank, and this was part of the reason I left the party." Another fromer 'Kipper sensationally told TBG that - "A member of the NEC, who was sympathetic to me, told me at the time of Olly Neville's election that Nigel Farage wanted to put his opponent in charge of YI against the wishes of the voters, and Nigel had certainly said encouraging things to him to stand." "I heard from a reliable YI source that Neil Hamilton had said that he wanted Jack Duffin to be chairman and there to be no competition" - they concluded. Of course UKIP's NEC does have form for this type of behaviour and never seem happy with their YI Chairman. Examples include when the NEC fired Olly Neville for comments supporting gay marriage and when the YI founder was sensationally removed and replaced from his position in a Farage coup. Exclusive TBG? Did you read #ThingsElliottSays yesterday? No Elliot, they didn't. Just like 99% of CF didn't. Nobody reads your blog, so stop kidding yourself. I have honestly never heard of Elliott Johnson. Will be a pleasure to meet you sometime soon then.